This is a 250ml bottle of Deluxe Materials Eze Dope. 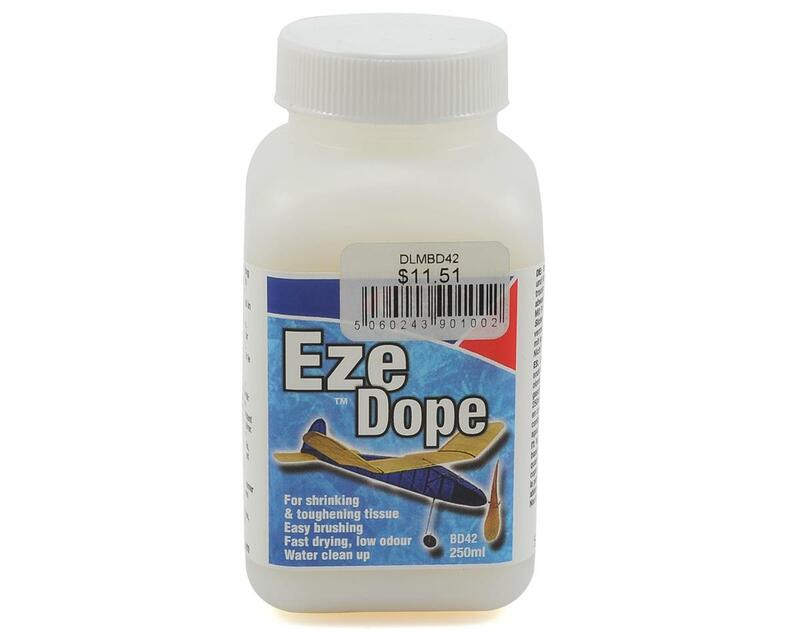 This specially formulated water soluble dope is perfect for shrinking, strengthening and wind-proofing model tissue paper. It is non flammable, has little odor and dries rapidly to a semi-matt finish. Use to apply tissue decoration to all types of foam.